Why Do I Crave Salt Before My Period? Salt cravings before a period is a symptom of premenstrual syndrome. Just prior to menstruation, women tend to experience a wide range of physical, emotional and behavioral changes, especially in their 20s and 30s. In fact, roughly three out of four women experience some level of PMS with regularity. Your craving for salt is likely how your form of PMS manifests in you, so there's no cause for alarm. While some people attribute mood swings, irritability and anger to PMS, symptoms don't just stop at the emotional. Many women notice some behavioral and physical changes as menstruation nears, namely when it comes to appetite. Food cravings are one of the most common symptoms of premenstrual syndrome, according to the American Academy of Family Physicians. A craving for foods high in salt falls within this category. The cause of these food cravings – among other symptoms associated with PMS – isn't well understood but is thought to be linked to chemical changes in the brain, notes MayoClinic.com. As your hormones fluctuate in preparation for your period, the level of serotonin in your brain does as well. This not only increases the risk of premenstrual depression, but also the likelihood of food cravings. If you're like most women, the cravings – as well as other symptoms of PMS – occur five to 11 days before your period and resolve after menstruation begins. However, some women might continue to experience symptoms four to seven days after the menstrual cycle ends. Although the pattern varies from woman to woman, it's usually predictable to the individual, but keep a journal of symptoms. If PMS is severe, a journal can help your doctor recommend the most appropriate treatment for you. Most of the time, lifestyle changes can go a long way toward controlling symptoms. Drinking plenty of fluids, eating smaller meals and staying active often can help alleviate many of the symptoms associated with PMS. 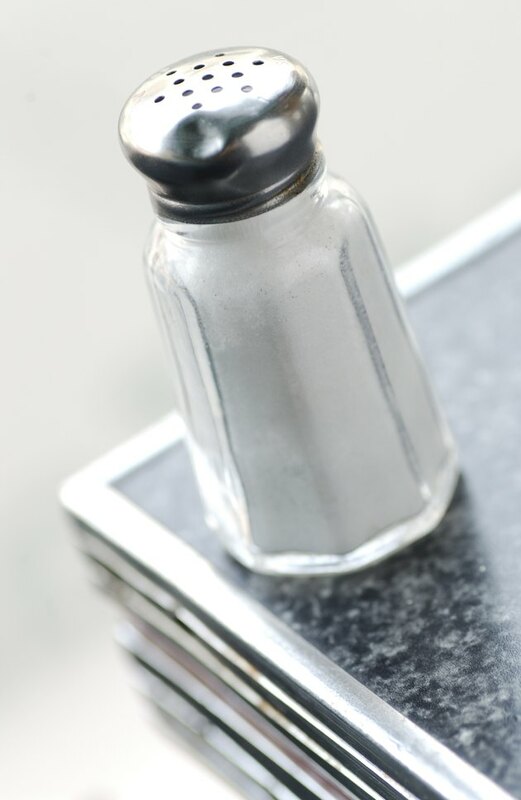 Abstaining from foods high in salt also can help, and your doctor might recommend maintaining a low-salt diet to manage PMS, according to the National Institutes of Health. For some women, sodium can worsen symptoms, such as retaining fluids and subsequent bloating. If, however, your PMS is severe, antidepressants can help relieve many of the uncomfortable symptoms, including food cravings. Talk to your doctor to determine the best approach for managing your PMS. What Does Craving Salty Foods Mean?